English Orientalist of Jewish birth; died 1871. He was a worker for the British Society for the Propagation of the Gospel Among the Jews, and when that institution founded in London (1847) a college for the training of its missionaries, he was appointed principal. He is the author of an "Analytical Hebrew and Chaldee Lexicon," "Syriac Reading Lessons, with Analysis," and "Chaldee Reading Lessons." He asisted in the editing of the "Englishman's Hebrew and Chaldee Concordance." 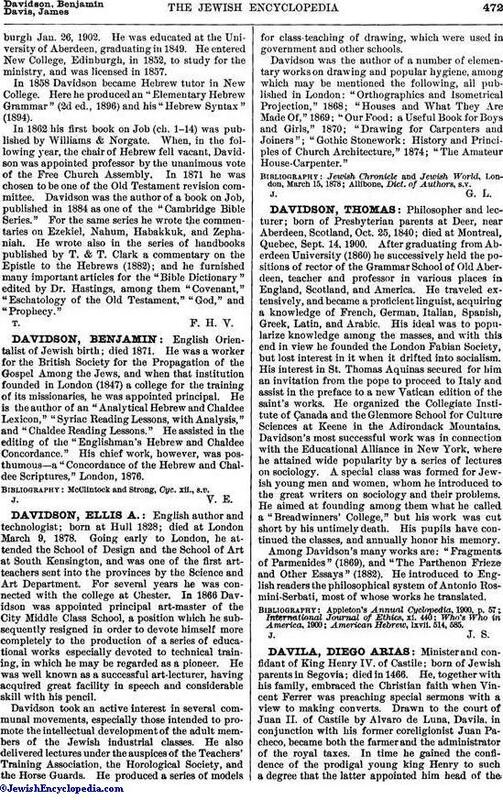 His chief work, however, was posthumous—a "Concordance of the Hebrew and Chaldee Scriptures," London, 1876. McClintock and Strong, Cyc. xii., s.v.